Civil Engineer and Hydrologist supporting the Observing Systems Division of the USGS Water Resources MIssion Area (WMA). B.A., Liberal Arts: University of North Texas. Acting Chief of the Decision Support Branch within the WMA Information Integration and Dissemination Division, providing tools and leadership to enhance and increase the use of USGS science and information in water resource management, extreme event preparedness and response, and policy development. Tri-annual surface water review team leader at USGS Water Science Centers across the U.S.
USGS Rapid Deployment Gages (RDGs) are fully-functional streamgages designed to be deployed quickly and temporarily to measure and transmit stream stage data in emergency situations. 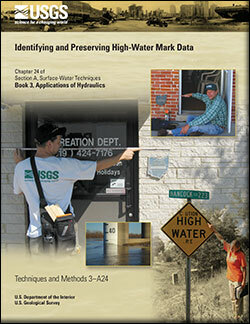 During large, short-term floods, the USGS collects additional data to help document these high-water events. 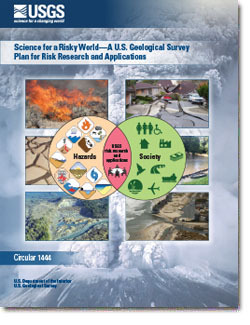 This data is uploaded to the USGS Short-Term Network (STN) for long-term archival, and served out to the public through the USGS Flood Event Viewer (FEV) which provides convenient, map-based access to storm-surge and other event-based data. Hurricane Isaac was a Category 1 storm that made landfall in Louisana on August 28, 2012, causing tornadoes and widespread flooding in five states. During and after Tropical Storm Lee, the USGS made stream flow measurements, sampled suspended sediment, and repaired gages in Connecticut, Maryland, Pennsylvania, Virginia, and other states in the region. Hurricane Irene, peaking as a Category 3 hurricane, battered Carribean Islands and U.S. states all along the eastern seaboard from South Carolina to Maine on August 21-29, 2011. The National Streamflow Statistics (NSS) Program compiles regression equations for estimating streamflow statistics for every state, Puerto Rico, and a number of metropolitan areas in the U.S. This page documents known issues with the NSS software program. Learn more about USGS flood activities related to the 2017 Pacific Winter Floods caused by widespread rains across California and western Nevada. 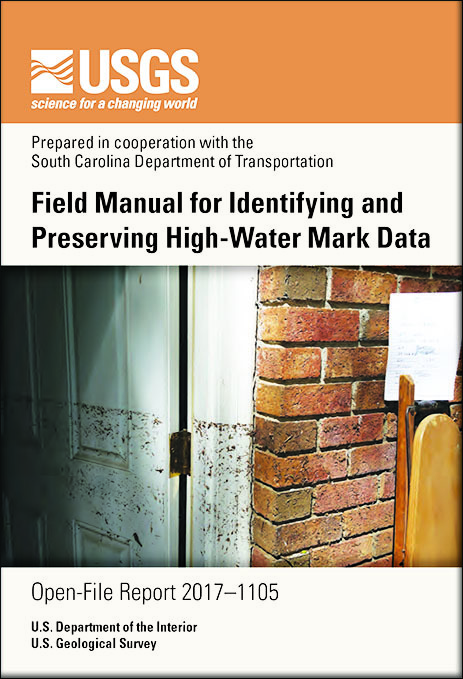 Feaster, Toby D.; Koenig, Todd A.
Feaster, T.D., and Koenig, T.A, 2017, Field manual for identifying and preserving high-water mark data: U.S. Geological Survey Open-File Report 2017–1105, 67 p., https://doi.org/10.3133/ofr20171105. 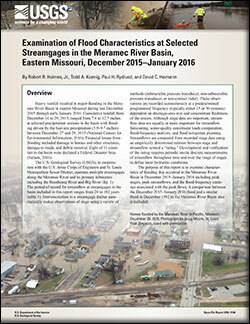 Holmes, Robert R.; Koenig, Todd A.; Rydlund, Jr., Paul H.; Heimann, David C.
Holmes, R.R., Jr., Koenig, T.A., Rydlund, P.H., and Heimann, D.C., 2016, Examination of flood characteristics at selected streamgages in the Meramec River Basin, Eastern Missouri, December 2015–January 2016: U.S. Geological Survey Open-File Report 2016–1140, 7 p., http://dx.doi.org/10.3133/ofr20161140. Koenig, Todd A.; Bruce, Jennifer L.; O'Connor, Jim; McGee, Benton D.; Holmes, Robert R.; Hollins, Ryan; Forbes, Brandon T.; Kohn, Michael S.; Schellekens, Mathew; Martin, Zachary W.; Peppler, Marie C.
Koenig, T.A., Bruce, J.L., O’Connor, J.E., McGee, B.D., Holmes, R.R., Jr., Hollins, Ryan, Forbes, B.T., Kohn, M.S., Schellekens, M.F., Martin, Z.W., and Peppler, M.C., 2016, Identifying and preserving high-water mark data: U.S. Geological Survey Techniques and Methods, book 3, chap. A24, 47 p., http://dx.doi.org/10.3133/tm3A24. 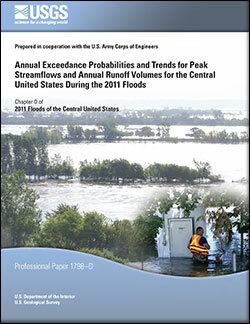 Driscoll, Daniel G.; Southard, Rodney E.; Koenig, Todd A.; Bender, David A.; Holmes, Robert R.
Annual exceedance probabilities and trends for peak streamflows and annual runoff volumes for the Central United States during the 2011 floods; 2014; PP; 1798-D; Driscoll, Daniel G.; Southard, Rodney E.; Koenig, Todd A.; Bender, David A.; Holmes, Robert R., Jr.
Koenig, Todd A.; Holmes, Robert R.
Documenting the stages and streamflows associated with the 2011 activation of the New Madrid Floodway, Missouri: Chapter E in 2011 floods of the central United States; 2013; PP; 1798-E; 2011 floods of the central United States (Professional Paper 1798); Koenig, Todd A.; Holmes, Robert R., Jr.
Holmes, Robert R.; Wiche, Gregg J.; Koenig, Todd A.; Sando, Steven K.
Peak streamflows and runoff volumes for the Central United States, February through September, 2011: Chapter C in 2011 floods of the central United States; 2013; PP; 1798-C; 2011 floods of the central United States (Professional Paper 1798); Holmes, Robert R., Jr.; Wiche, Gregg J.; Koenig, Todd A.; Sando, Steven K.
Holmes, Robert R.; Koenig, Todd A.; Karstensen, Krista A. 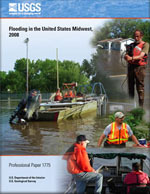 Flooding in the United States Midwest, 2008; 2010; PP; 1775; Holmes, Robert R., Jr.; Koenig, Todd A.; Karstensen, Krista A.